What's Your Wind Down Routine? What’s Your Wind Down Routine? It’s been a long day at work and you’re ready to come home, kick off your shoes, and put your feet up, glass of wine in hand. 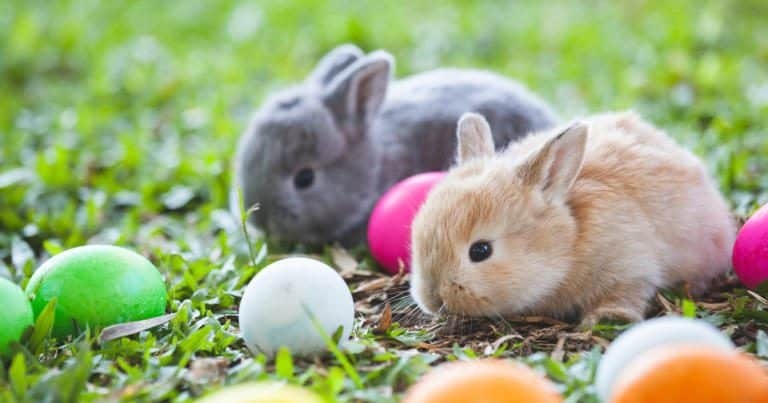 You pull into your garage, walk through your front door, and instead of the relaxing evening you had in your mind, you’re bombarded with your kids that need homework help, a text from your boss asking if you can stay late on Friday to finish up a project, and a spouse who is asking you to *insert chore that you’ve been continuously avoiding here*. Does this routine sound at all familiar? When we’re bombarded with life’s tasks that put us in a constant “doing” state, we don’t give ourselves time to decompress from our day. Instead, we remain in a stressful, high-alert, “on” stage, that can be difficult to come down from, especially when it’s become a habit. Like any good habits, bad habits are things that don’t just show up in our lives one day; they are learned patterns of behavior that become second nature over time. Instead of compounding a habit of being always on the move, building a habit that is good for us can have benefits that soon manifest into every part of our lives. Finding a solid wind down routine to build into your day can help you to reset, relax, and reconnect with your sense of inner peace, which does nothing but good. Winding down is more than just sipping a glass of wine and turning on the TV before bed. It’s being mindful of making choices to help yourself relax, mind and body, so you don’t remain in a constant state of alert. There are plenty of ways to relax after being in a state of stress, and the following are merely a few, quick things you can start doing to unchain your mind from the burdens of anxiety and start breathing in the freedom of relaxation. If you have nervous energy that’s been building, one of the best things you can do for yourself is to sweat it out. 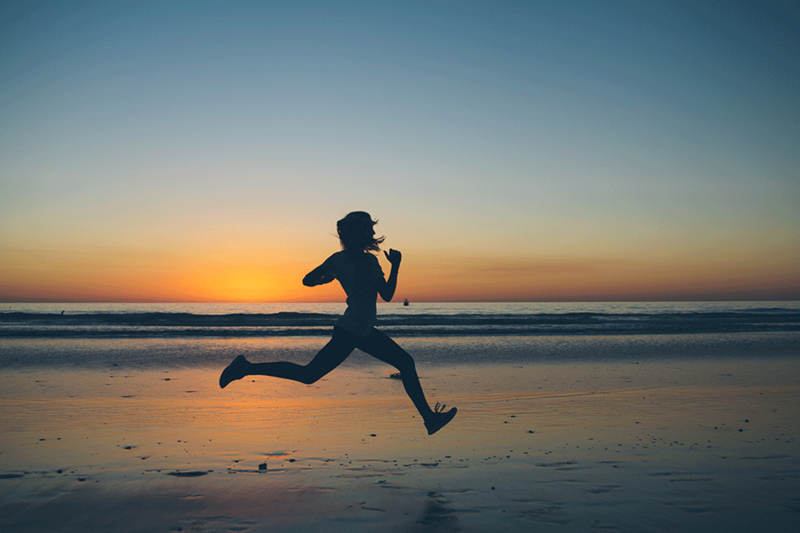 Going for a run, bike ride, swim, or another quick form of exercise can get your blood pumping and heart rate going, which is a great way to relieve stress that’s been building. Taking time to stretch your body — even if it’s just 10 or 15 minutes — can do a world of good. You won’t always have the energy to get a full on work out in, so getting yourself moving in whatever ways you can will help to put you in the present moment and out of whatever you may be stressing about. Try downward dogging and you may be surprised how much more relaxed you feel after 10 minutes of simple stretching. You may have noticed a theme running through these suggestions, and it’s no accident. They are all simple ways you can move your body and expand your breathing, because breathing deeply is strongly correlated to decreased stress and increased relaxation and calm. In meditation, you are sitting with yourself and focusing on breathing deeply. By slowing and deepening your breath, not only are you staying present in the moment, but you are also physically helping your body relax. If we are feeling mountains of stress in our life, it can be difficult to release it all when it’s time to put our head on the pillow. Usually, it’s when we’ve crossed the day’s finish line and are laying on our mattress, things are finally quiet enough to hear our own thoughts above the roar of life’s demands. If we’re not taking time to unwind and practice separating ourselves from the noise, our minds will continue to race well through the night, impeding our sleep life. By keeping a routine where you can calm down and unwind from your day, your practicing that separation from stress. You are sending a signal to your brain that it’s time to let go of the day thus far, and relax for a restful, restorative night of sleep. Forget the circular thoughts and anxiety that keeps your mind racing by taking the time to make a few simple changes with a regular wind down routine. Your body and mind will thank you. Breath deeply and relax because a Nectar mattress means a night of sweet dreams. 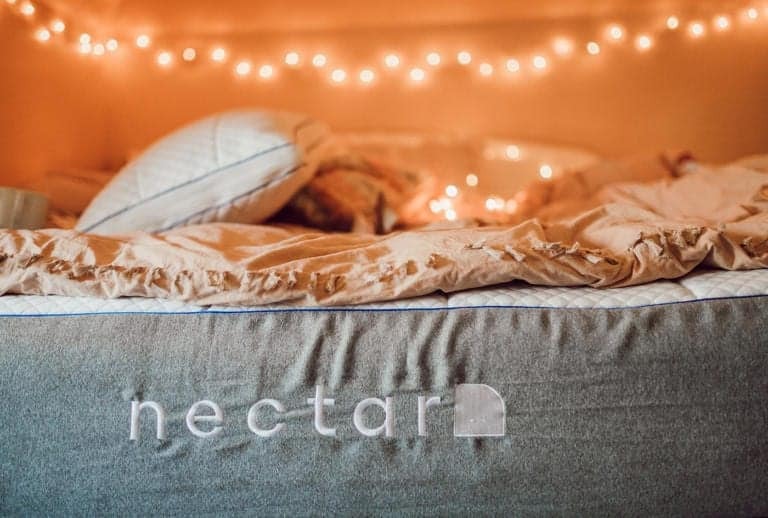 Save $125 off a Nectar Mattress and we’ll give you two premium pillows for free.